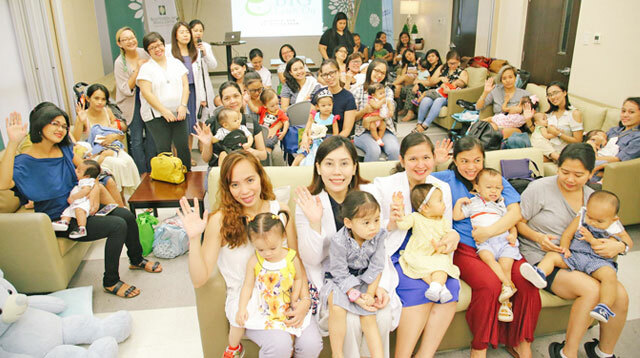 Breastfeeding and immediate skin-to-skin contact was part of Tin Bautista-Quimpo’s simple birth plan, but due to circumstances beyond her control, she had to undergo an emergency C-section and her son, Matteo’s first meal was formula milk. 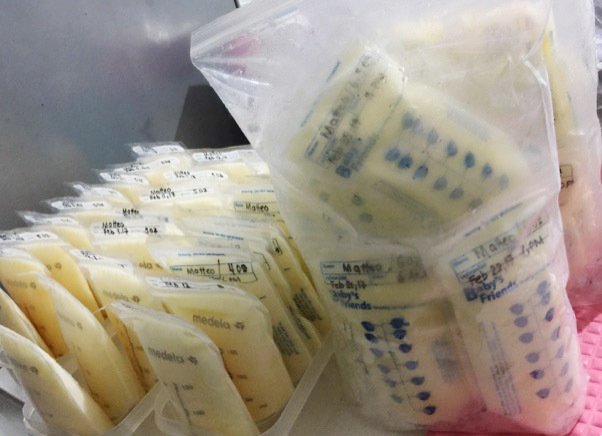 Because of this, the new mom vowed to provide her son with breast milk as long as she could — even if it meant “breastfeeding” all the way from Singapore. Tin has been working as a nurse in Singapore since 2010, with her husband, James, who is an engineer. She became pregnant in May 2016 and came back to the Philippines in early 2017 to give birth to her son. Since then, she had been supplying her son with pumped breast milk from over 1,400 miles away, and was able to sustain exclusive ‘breastfeeding’ for more than two years! During a mom meet-up event with Haakaa last month, Tin shared how she was able to fulfill her promise to her son and proved that a mom stops at nothing to be able to provide liquid gold for her child. Tin with her son Teo. Tin’s journey started at Matteo’s birth. 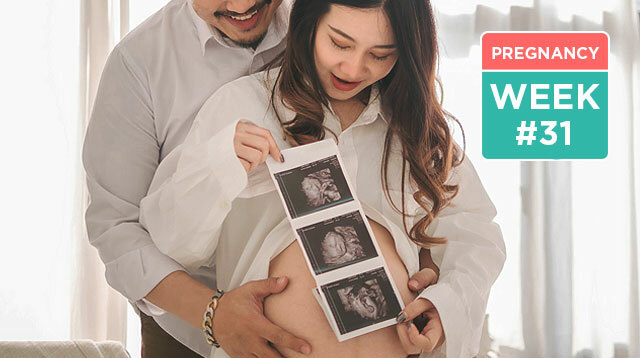 Upon reaching full-term (40 weeks and one day), she needed to be induced. Labor took twelve hours but still her baby would not budge and so her doctor decided she needed to undergo an emergency C-section. Thankfully, Matteo, or Teo for short, was healthy at birth. 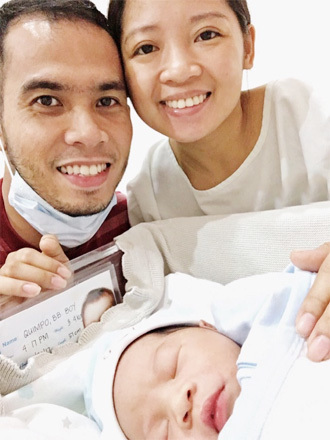 “I was still unconscious when he came out but when I knew Teo was safe and ok, I became relaxed and at peace that I was going to see him the next morning,” Tin shares. She and James visited their son the next day in the nursery. After getting back to the hospital room, James showed Tin a photo of Teo drinking formula milk via cup feeding. Tin was shocked. “I felt so sorry for my baby — I wanted him to breastfeed the moment he came out,” she said. The new mom then made an effort to freshen up and told the nurse she wanted Teo to be roomed-in with her right away. Because Tin had an emergency C-section, she was unable to initiate latching when Teo came out. The staff eventually relented and Teo was brought in to room with her. Tin doubled up on skin-to-skin contact and initiated latching. Two days later, the doctors cleared both mother and son to go home. Tin only had six weeks to build a milk stash for her son because she had to go back to Singapore and work. She tried to boost her milk supply by eating more vegetables and fruits, as well as supplements and oats. When Teo turned ten days old, she started pumping. By the time she left, Teo had enough milk to last him for a month. 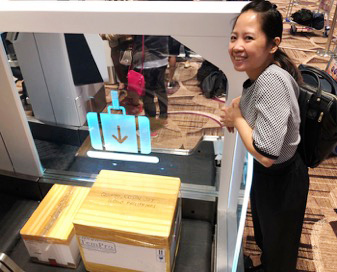 Tin was able to pump a month's worth of breast milk before going back to Singapore to work. Back in Singapore, Tin established a pumping routine. 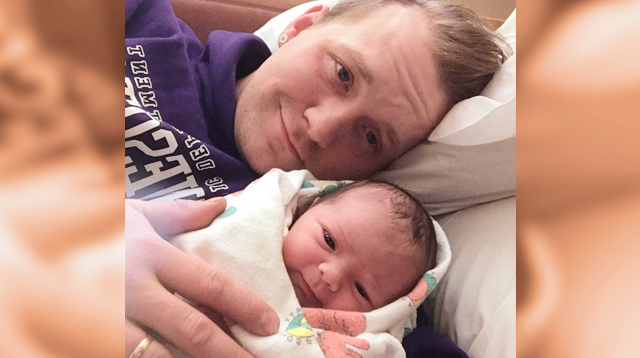 She would start pumping at 2 a.m. at home for 30 minutes. Then, she would pump again at 5 a.m. for 45 minutes. When she gets to work, she would pump from 8:00 to 8:30 a.m., before their clinic starts receiving patients. She would pump again at 12 p.m. then at 5 p.m. for thirty minutes. 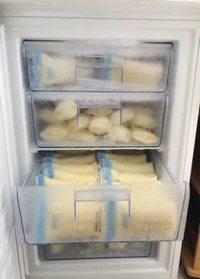 She stored the milk in milk bags and placed it in a container to put inside the staff fridge. At home, she would pump again at 10 p.m. for 45 minutes before going to sleep. In two weeks, she had enough milk to fill a small fridge. Luckily, Tin had a friend headed back to the Philippines. 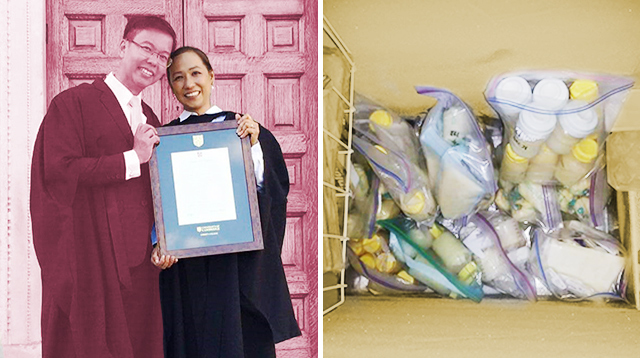 She was able to send a box full of breast milk to their home in Iloilo City before Teo had even turned 8 weeks old. Then, a month later, Tin was able to go back to the Philippines to get Teo and bring him back to Singapore, where he was able to stay for 25 days. When she came home, Tin was nervous and wondered whether Teo would remember to latch onto her. “Over the weekend ako dun, and that time, nag-growth spurt din siya. Ang tagal niya [bago mag-latch],” Tin explains to SmartParenting.com.ph. But eventually, she succeeded. Tin followed a strict pumping schedule which enabled her to quickly fill a small fridge in their home with breast milk. This photo, taken at six months, was the last time Teo properly latched onto his mom. Since Teo and his mom lived apart, he started to refuse latching when he was two months old. Still, Tin tried to make him latch whenever they were together. His last latch was at six months and for the next two years, Tin would exclusively pump milk for him. 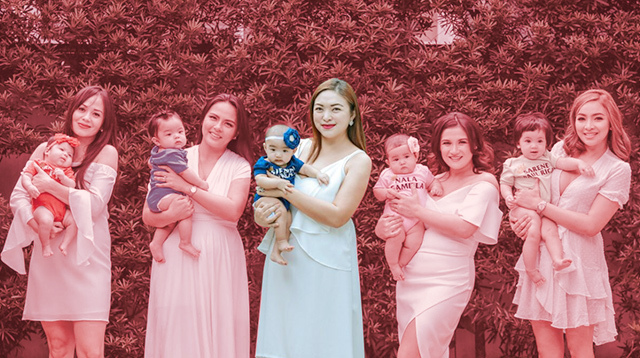 Tin would shuffle between all the ways she could deliver breast milk to Teo — she would either send breast milk through friends, have her or her husband fly to the Philippines with the milk, or bring Teo to Singapore with them. 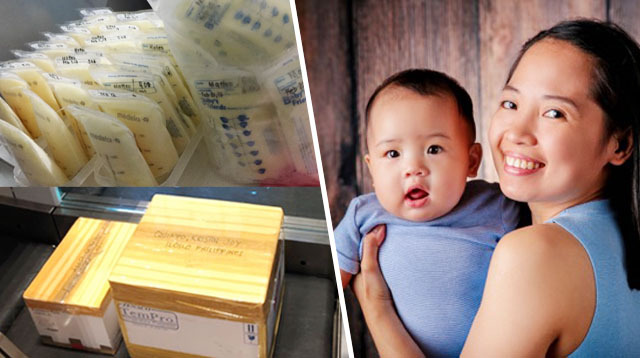 Tin would always choose to check in the breast milk she sends to her son in Iloilo. She would ask the help of friends or fly to the Philippines to deliver the milk. For the first six months, Teo would latch and have 5 bottle feedings between three to 5 ounces for the whole day and night. From seven months to a year old, he would have 8 feedings of four to five ounces each. When he turned more than a year older, he cut back to six feedings, then eventually 4 feedings because he had a good appetite for solid food. Tin admits that what she did was very, very costly. At some point, Tin would ask herself, “Bibili na lang ba ako ng formula, or bibili ako ng ticket?” But every time, her desire to give her son breast milk would win. To think that Tin didn’t even have a goal for providing her son with milk — she just wanted to try for as long as she could. 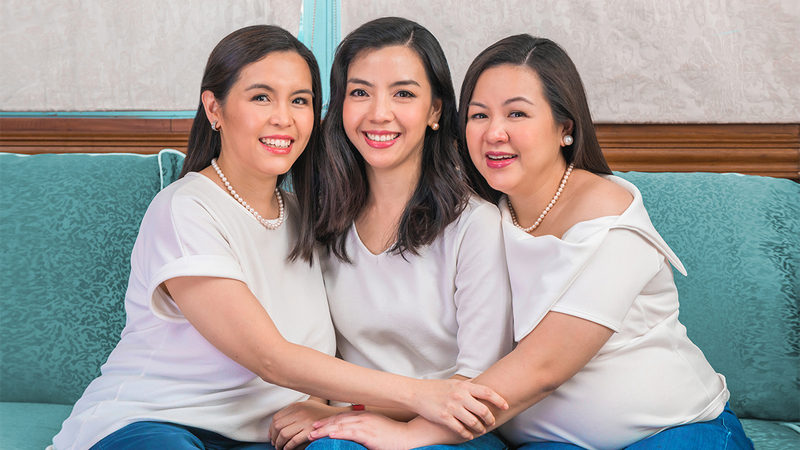 “As long as nakikita ko ‘yung anak ko na happy, na dumedede ng galing sa akin, I would do it,” she says. Tin says this Haakaa breast pump helped make expressing milk easier. Since it was tiny, she could easily slip it under her clothes to pump while at work. Tin was able to provide breast milk for Teo for more than two years. Tin was able to ‘breastfeed’ for exactly two years and 7 days. 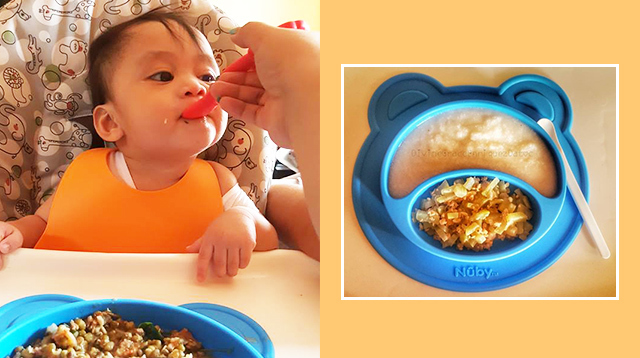 She slowly started weaning from exclusive pumping by reducing her pumping schedule. 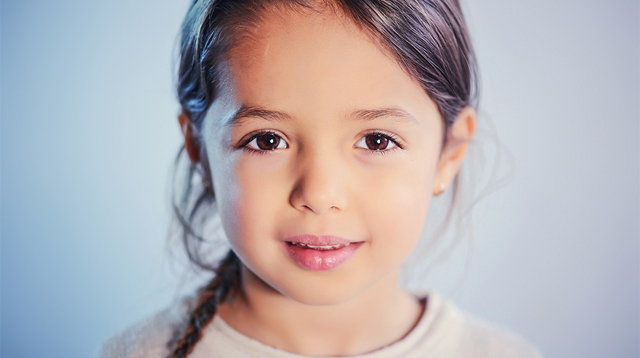 At 18 months, she tapered her 5 p.m. schedule. At 20 months, she took out the 8 a.m. pump schedule. 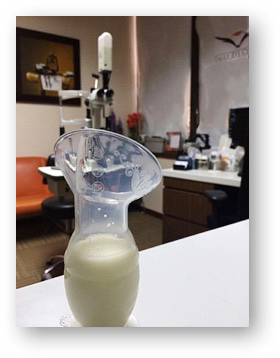 “I slowly felt the liberty from pumping at work since I no longer pump when I reach the clinic and before I leave,” she shares. Now the mom is looking forward to a whole new chapter: spending time with her son as a full-time mom. Yes, after laboring for two years to provide breast milk, she has returned home to care for her son. “Breast milk is to nourish your child, and breastfeeding is not a medallion of motherhood,” she says. Tin has no regrets devoting her time and effort because everything she did is for Teo. And it’s also a good thing that breastfeeding in today’s age has become so much easier and truly possible. This article was edited on April 16, 2019 at 2:41 p.m.